sketch visual for an idea to erect large scale letterforms at a prominent elevated site in the town. Why? 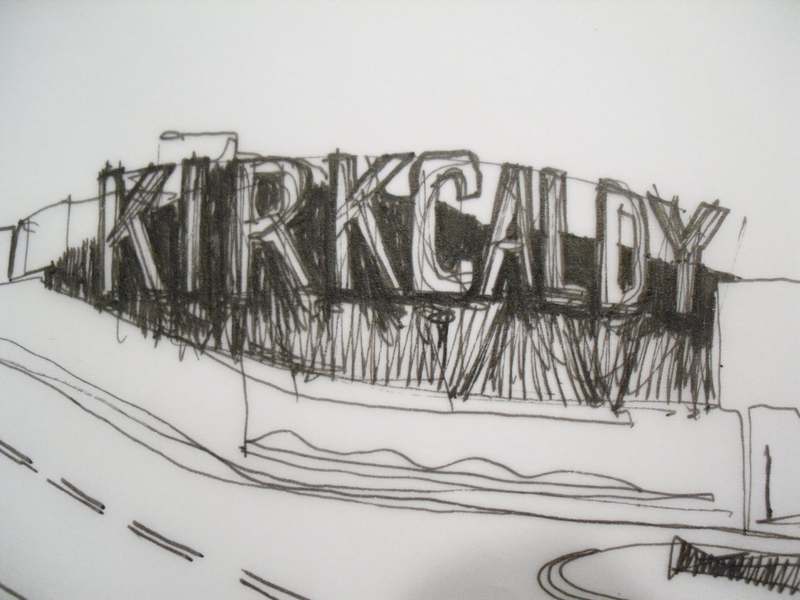 simply, that it would make use of a redundant urban space and the letters would let the public know that KIRKCALDY is important.